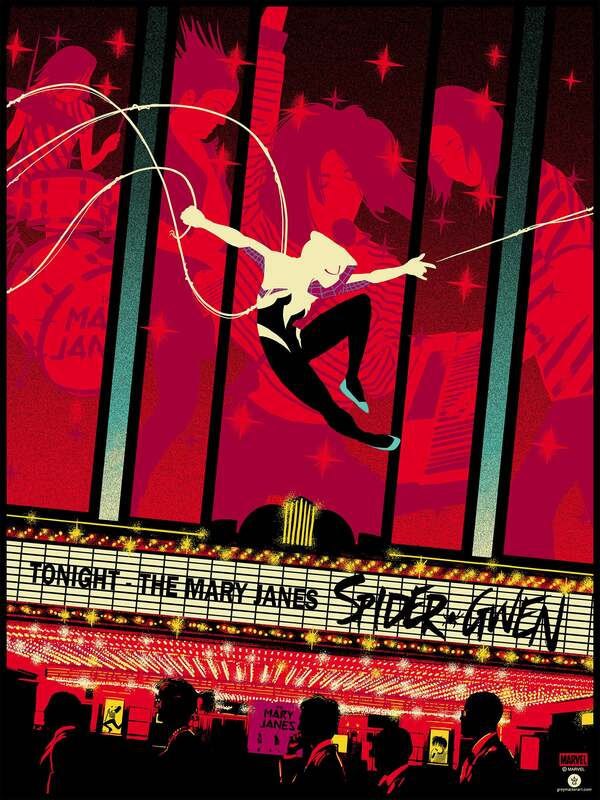 Spider-Gwen by Raid71 is an officially licensed, 18 x 24 inch, hand-numbered screen print in an edition of 125. It's on sale now via Grey Matter Art for $40 (£31). If you only know Spider-Gwen because of Spider-Verse, you may not realise in the comics, she was part of a band called the Mary Janes along with Mary Jane Watson. That’s the inspiration for the poster, obviously. And if you’re so inclined, Grey Matter has a second Spider-themed poster also on sale now. 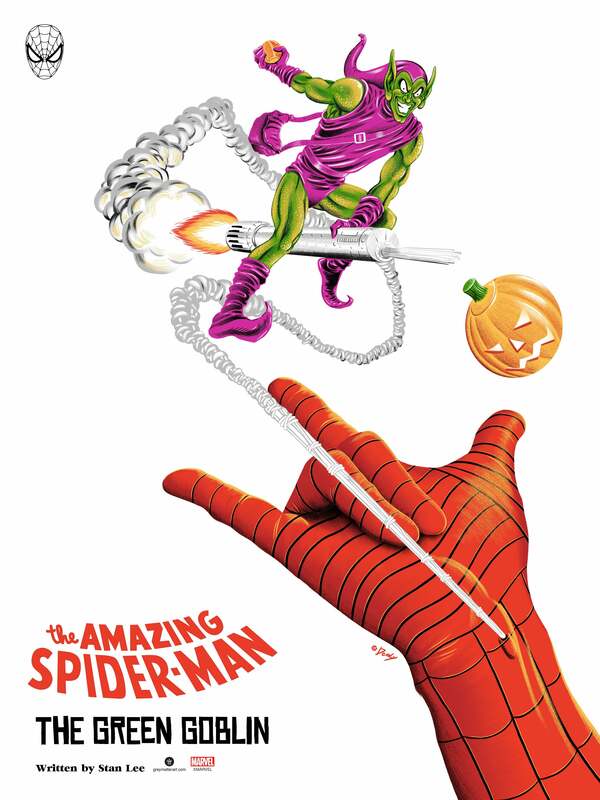 It’s Spider-Man vs. Green Goblin by Doaly, and is another 18 x 24 inch, hand-numbered screen print in an edition of 100 that costs $40 (£31). Again, both posters are on sale now at Grey Matter Art. And yes, a Spider-Gwen movie is currently in development.